Pterygium surgery is a procedure which is performed to remove a pterygium. Pterygium is more widely known as “Surfers Eye”. It’s a common eye condition affecting those who are exposed to a lot of sunlight. People who live in hot climates or spend a lot of time outside are more susceptible. Either just one eye or both eyes can be affected. Although not contagious, the chance of getting pterygium in the second eye is high. Pterygium is usually not considered a serious condition. However, the symptoms are often irritating and can look unappealing. Relief is available here at the New Jersey Eye Center. Our team of specialists is on hand to provide fast, efficient solutions in a friendly professional manner. We have experienced doctors who have performed pterygium surgery numerous times. And there is usually no wait time before the surgery is carried out. In this article we’ll take a closer look at pterygium and pterygium surgery. A pterygium appears as a fleshy tissue growth on the membrane covering the white part of the eye, the conjunctiva. Usually pinkish in color, it tends to form on the side closest to the nose. Starting small, they grow very slowly throughout your life. In some cases, a pterygium will stop growing completely. But on rare occasions, it can eventually cover the pupil and interfere with your vision. The medical community is not totally sure what causes pterygium. It’s believed that prolonged exposure to ultraviolet sunlight is the main cause. UV damages the conjunctiva. Dust and wind can also be a contributing factor. The feeling of something stuck in the eye. If these symptoms become problematic, pterygium surgery may be recommended. Often pterygium does not require any treatment. If it’s causing discomfort, simple artificial tears or eye drops may take away the burning or itching sensation. Your doctor may also prescribe eye drops or ointments containing steroids to reduce swelling or inflammation. In cases where discomfort persists or there is vision impairment, pterygium surgery may be prescribed. During the procedure, the pterygium is removed and a graft is used to fill the gap which is left. Here at The New Jersey Eye Center in Bergenfield, NJ, we use an amniotic membrane to do this. If you present any of the symptoms for pterygium, book an appointment to see one of our ophthalmologists. They are able to determine if pterygium surgery is best course of treatment for you. The idea of surgery is to remove the pterygium and prevent any re-growth. Removal leads to an empty space being left in the conjunctiva. When small, this gap can simply be closed. However, when the space is too large, something is needed to fill it. In the past, tissue has been transplanted from another part of the conjunctiva. However, thanks to advances in medicine, we are able to offer a new method. This is a technique known as amniotic membrane transplant (AMT). Amniotic membrane is the inner layer of the placenta. The tissue is harvested, treated, and then stored for surgical use. It is rich in collagen and has many active cells. Used like a bandage, it repairs and aids the healing process when the surface of the eye is damaged. It may sound unpleasant, but AMT pterygium surgery is the best chance to prevent pterygium recurrence. Surgery can be carried out under local or general anesthetic. This is determined by the anticipated duration of the pterygium surgery and the size of the growth. Once you are comfortable and relaxed, the ophthalmologist will remove the pterygium. The amniotic membrane is then glued onto the conjunctiva to cover the gap. Pterygium surgery is a quick procedure taking around half an hour. In the majority of cases, patients are able to return home on the same day. Due to the medications and anesthetic, patients may feel groggy and it is advisable not to drive. Arrange for a family member, friend or taxi to take you home. You should feel no pain during the operation. If under local anesthetic, you will be aware of your surroundings but will not be able to see. Your eye should be completely numb. The technique eliminates the use for any stitches so there should be little to no discomfort. After the procedure, if there is some pain, medications will be given. You may need to wear an eye patch for the first one or two days following pterygium surgery. Although the healing process varies from patient to patient, recovery is quite rapid. After two or three days, you should be able to return to work and resume normal activities. For the first week, medicated eye drops may be prescribed along with a lubricant. The adhesive glue used during the AMT will dissolve. In general, your eye should return to its normal appearance in 2-4 weeks. There should be little or no irritation and redness. The surface of the eye is prone to infection until it has healed completely. Take care to keep the eye clean. Wash your hands regularly and try to avoid touching your eyes. Wear sunglasses (wraparound ones are best) when going outside in the sun or wind. And always wear protective goggles or glasses when operating power tools. Most important is to ensure you attend your follow-up appointments. If pterygium were to re-appear, it will usually do so in the first 12 months after surgery. Your doctor will want to monitor your progress closely. Our eyes are delicate and need to be cared for. 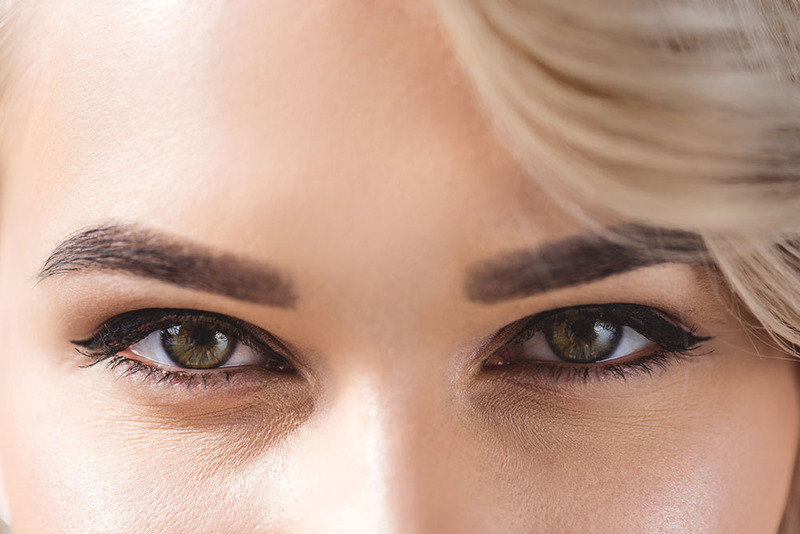 Although pterygium may not be considered a serious condition, it is important to seek medical advice to make sure it does not become more severe. If you or a loved one is showing any symptoms, book an appointment or walk in today. Be assured that the New Jersey Eye Center will offer you the best care and, if necessary, a successful pterygium surgery.